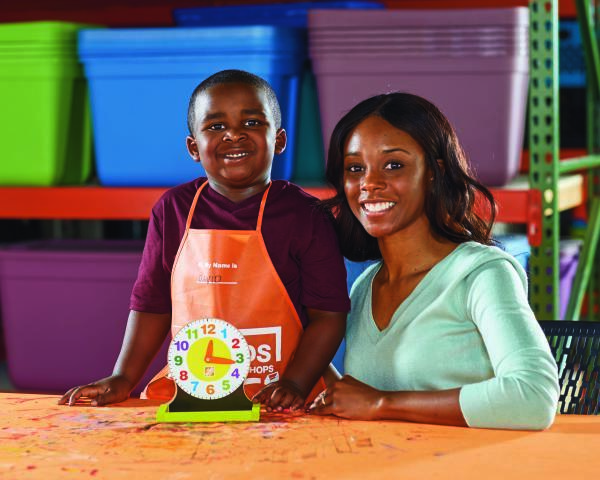 March 2 from 9:00 a.m. to 12:00 p.m. Home Depot is having a Free Kids Workshop for children ages 5-12. Together you and your timekeeper can build a freestanding clock with easy-to-read numbers, movable hands and a storage tray to house reminders or important trinkets. Use as a learning clock to make telling time fun or as a tool to encourage the value of time. Once your clock is built, your child can customize it with paint and stickers. Kids will also receive a certificate of achievement, a workshop apron, and a commemorative pin.